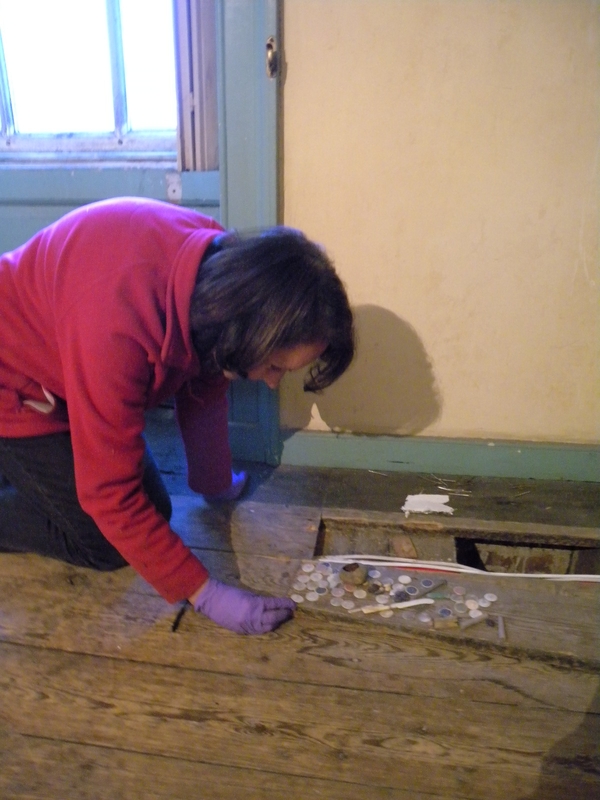 If you’ve read earlier posts on the blog you will know all about our cabling project, but one discovery you might no be aware of is our seventeenth Century shoe, found under the floorboards. The shoe was found by an asbestos contractor, Darren, it is a gentleman’s shoe, which remarkably had lain undisturbed for over 200 years. 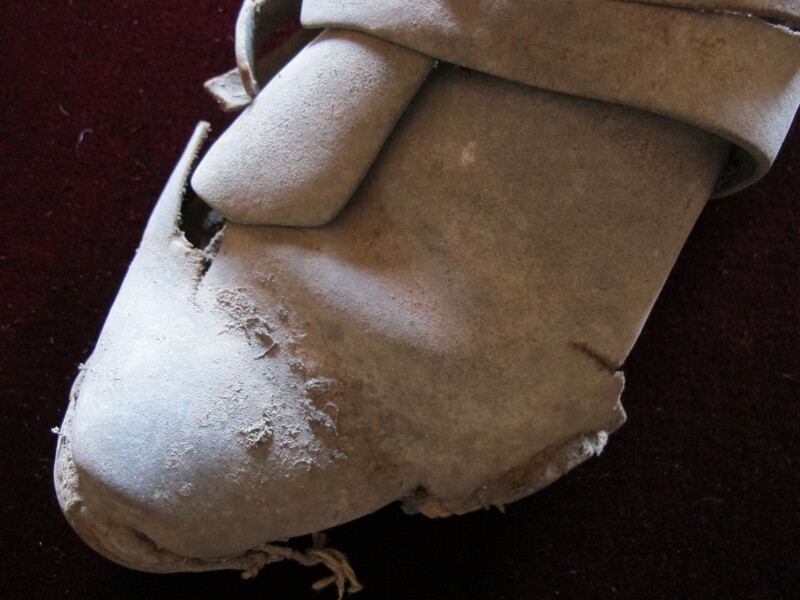 The shoe we think dates to the mid-1700s and would have originally been fastened with a buckle. It would also have had a low heel that appears to have been lost. The 1st Earl of Hardwicke commissioned the architect Henry Flitcroft to reconfigure the Hall in 1742, so it’s possible the shoe was hidden at this time. It is very common for concealed shoes to be well worn. Shoes can show a lot about their owner, including the foot shape and even abnormalities in the foot. This appears to have given rise to the belief that they contained the spirit of their owner. This shoe shows the last wearer had a pronounced bunion and it does make you think how he would have hobbled about, maybe the servants helped him! The six month cabling project at Wimpole has involved removing floorboards on each of the floors, which gave us a great opportunity to see what had fallen beneath the floorboards over many years, if not centuries, including more recent items such as Skittles wrapper, I wonder who ate those and posted the wrapper between the boards? 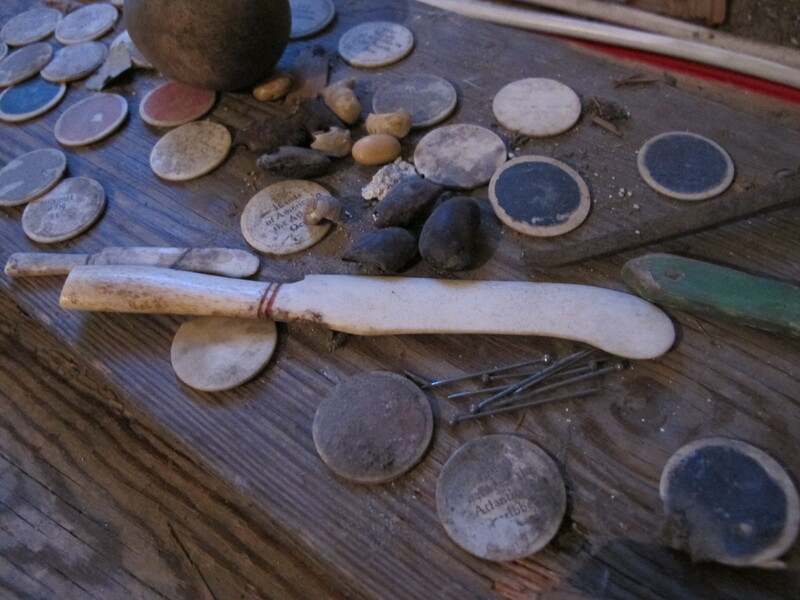 As well as plenty of dust and the Skittles wrapper, some of the other 320 artifacts found during the project include, letters, sewing items, food, children’s toys, animal bones, pieces of wallpaper and newspaper cuttings, offer a glimpse into another era. 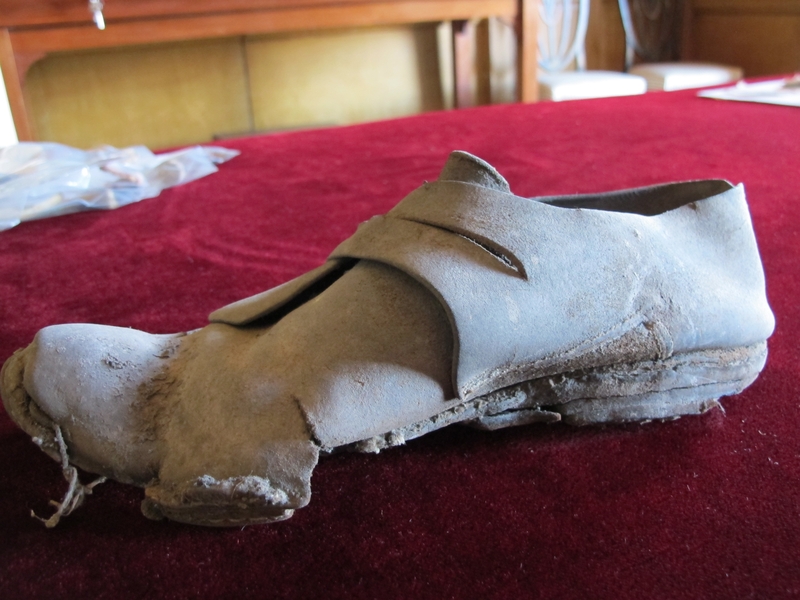 Some of the artifacts including the seventeenth Century shoe, will be on display in the Documents Room at Wimpole Hall from Saturday 1 March 11am-5pm, so come and see what archaeology has lain undiscovered under our floorboards. This entry was posted in Conservation, Mansion by ntwimpole. Bookmark the permalink.